This time last year, we gave three cheers, but not everyone wants to celebrate the Spirit of ’76 by adding spirits to the mix. 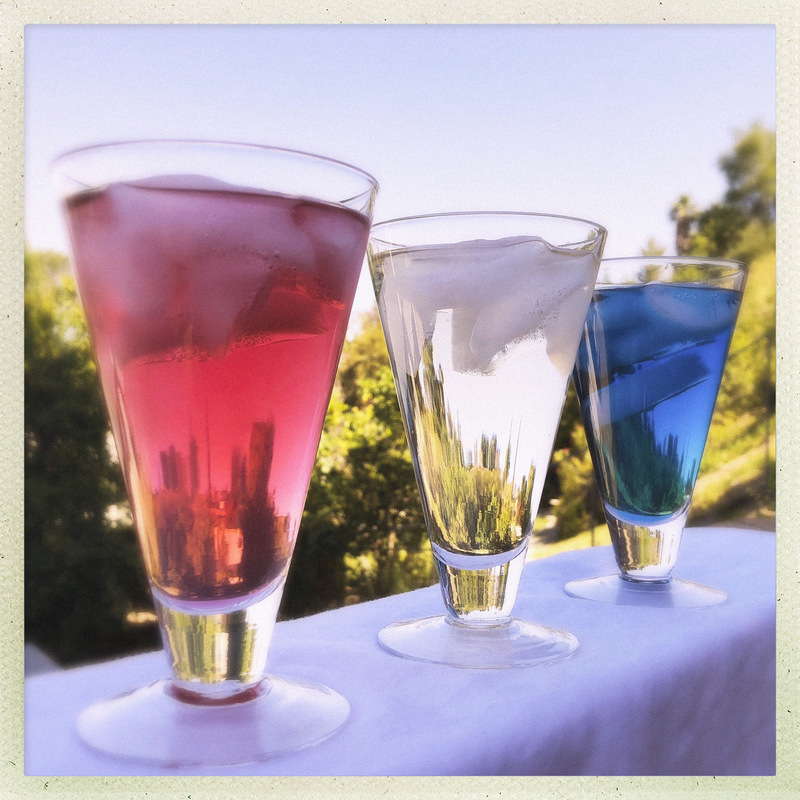 For those who forswear alcohol (or sugary drinks), you can offer a refreshing alternative to the usual 4th of July fare with this festive trio of teas. Featuring botanically-based hues of red, white, and blue, these caffeine-free* brews will be a natural at your patriotic party. 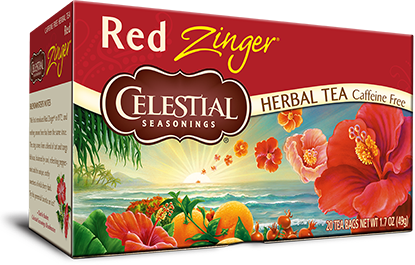 The crimson of classic Red Zinger from Celestial Seasonings comes from tangy hibiscus leaves, which impart their trademark “zing” with an assist from peppermint, sweet orange, lemongrass, and wild cherry bark. What white tea lacks in color, it makes up for in character, and with eight varieties to choose from in The Republic of Tea’s line of 100% rare Chinese white teas—including Pineapple Guava, Cucumber Mint, and Asian Jasmine—you’ll find a flavor to please every palate. But the sapphire shade of Blue-Tee from Wild Hibiscus Flower Co. is the real sparkler here. Made from pure butterfly pea flowers, this herbal tisane has been a Southeast Asian staple for centuries, but has found recent popularity in America due to its Instagram-worthy tint and peculiar properties. Add a squeeze of lemon juice and the blue brew turns a violet hue. Mix in milk and you get something resembling Bridget Jones’ leek soup. By taking liberties with afternoon tea, this British tradition becomes as American as red, white, and blue, so for those who want to skip the soda and bypass the booze this Independence Day, add these stars to your backyard bars and give guests their freedom of choice. Blue-Tee from Wild Hibiscus Flower Co.
Celestial Seasonings and The Republic of Tea can be found at most chain supermarkets. Wild Hibiscus Flower Co. teas are available at many Whole Foods and Sprouts markets. 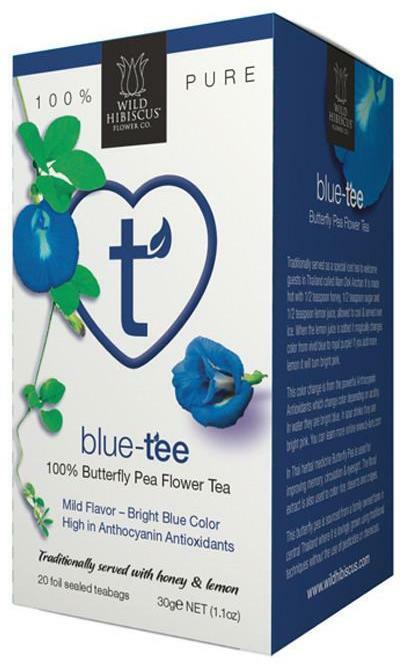 If you can’t find the tea, look for their b’lure Butterfly Pea Flower Extract at BevMo. *Herbal teas like Red Zinger and butterfly pea flower are caffeine-free. The caffeine content of white teas can vary widely depending on type and processing. White teas from The Republic of Tea are low in caffeine. I remember when Princess Diana married Prince Charles. I got up in the middle of the night to watch the wedding on TV. It was the most spectacular wedding I had ever seen. That giant dress, the huge church filled with people, Diana’s perfectly feathered hair…I swooned and wondered what it would be like to be a princess. Years later, I watched the wedding of Prince William and Kate Middleton, also so lovely, with William in his red splendor, Kate in her modest, yet elegant, dress, and Pippa minding the train. The wedding was like a tasty British fairytale. In 2011, master tea blenders Harney & Sons were commissioned to create a bespoke tea for the wedding of William and Kate. Now, with the impending nuptials of Prince Harry and Meghan Markle on May 19th, the tea is back! Come May 19th, I look forward to getting up in the middle of the night wearing my most regal pajamas, brewing a pot of Royal Wedding Tea, and shoving my face with scones, jam, and clotted cream. I might never be a princess or a duchess, but now I can drink tea like one, and that’s good enough for me. 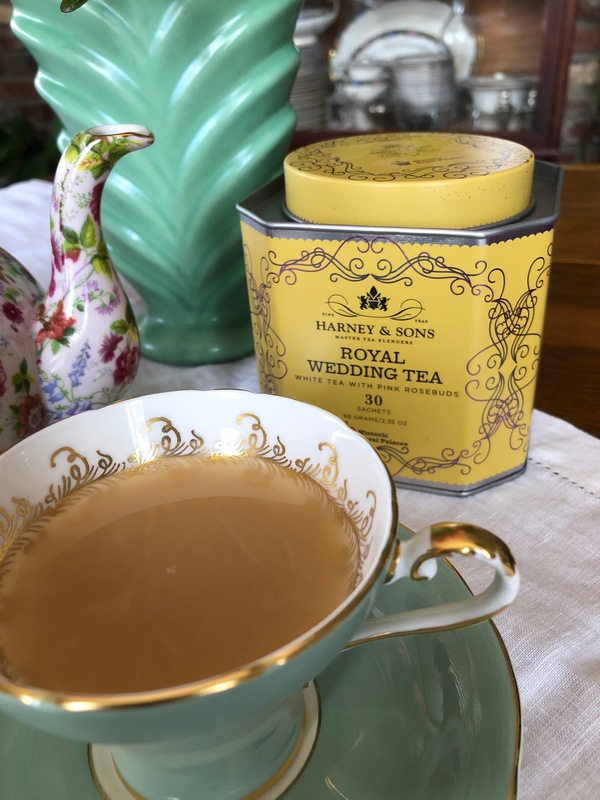 The tin of sachets featured in this post is currently out of stock on the Harney & Sons website, but the loose tea is still available for purchase, so grab your share and a spare, or you may have to abdicate your chance to try this tea until the next royal wedding. *I just found out that the future Duchess of Sussex is also a Valley girl, having grown up in Kirsten’s and my hometown of Woodland Hills. Like, OMG! Recently, I mentioned Good Earth tea to a friend and received a blank stare in response. It suddenly occurred to me that she was born and raised in New York and might not have heard of The Good Earth, a chain of health food restaurants that was locally popular in the 1970s and ’80s. It played an important role in my young life, but it’s funny how we can take for granted that others share many of our formative experiences, only to be brought up short when we’re reminded that the world is vast and varied. When my sisters and I were growing up, my mother went on a health kick and overhauled our kitchen: white bread was swapped out for whole wheat, butter was replaced with margarine (believed at the time to be a healthy substitute), and sodas, potato chips, candy, cookies, and ice cream were suddenly verboten. The most decadent thing in our pantry was a box of plain graham crackers, so when my mother took me to The Good Earth for the first time and I realized I was permitted to get one of their large chocolate chip cookies (because it was “healthy”), it instantly became my favorite restaurant. Aside from the tempting baked goods displayed in a glass case by the register, The Good Earth had a full menu of satisfying selections, my favorites being The Earth Burger (a vegetarian patty made from “nuts, grains, adzuki beans, mushrooms, and exotic spices from around the world”), the Garden Patch Vegetable Salad, and Eggs Lorraine with a side of Ten Grain Pancakes and homemade syrup. But whatever I ordered, it was always accompanied by endless cups of their famous Privately Blended Spice Tea. Naturally sweet and spicy, the restaurant brewed its tea strong and dark. When I had a view of the servers station, I would see coffee pots filled with fresh water and stuffed with seven or more bags of tea, then left to sit until the liquid had turned a deep brown. By the time I left the restaurant, I’d have had at least four cups of it. Good Earth tea was so delicious that I would often meet friends at the restaurant for nothing more than tea and a chat. On Saturday nights during high school, when other (i.e. “normal”) kids were at a dance, seeing a movie, or trying to sneak into a club, my friends and I would go to The Good Earth to discuss books and philosophy over cups of spiced tea and goblets of soft-serve Tofutti. Fortunately, Good Earth tea lives on! Their online store sells a variety of black, green, white, and herbal teas, but it’s the classic Sweet & Spicy blend that still makes me swoon. I always give it a good, long steep to bring out its natural sweetness. Today, as we focus on the good of the Earth, I’ll be brewing up this nostalgic blend and having a Good Earth Day. 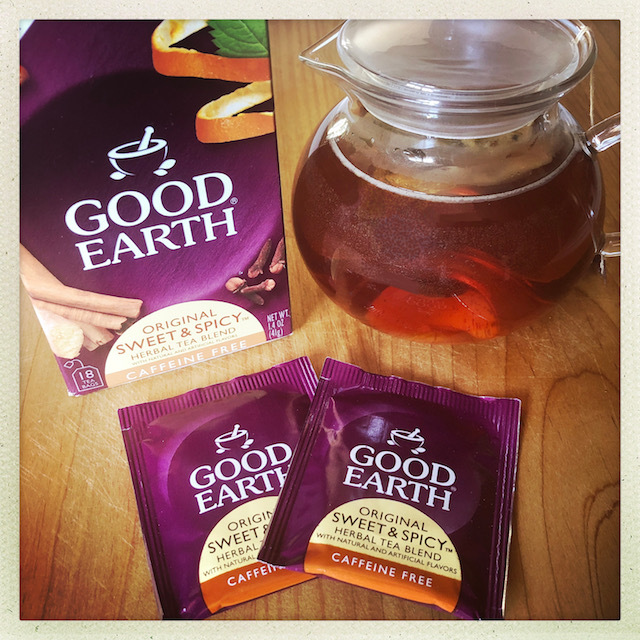 Good Earth tea has gone through a number of different package designs over the years. The latest version features a white background with vibrant splashes of color, but I’m partial to the previous purple packaging that appears in these pictures. This date is steeped in history. Two hundred and forty-four years ago today, trouble was brewing in Boston Harbor as colonists, angry about the British Parliament’s recent tax on tea, boarded ships of the East India Company and tossed chests of imported tea into the water. 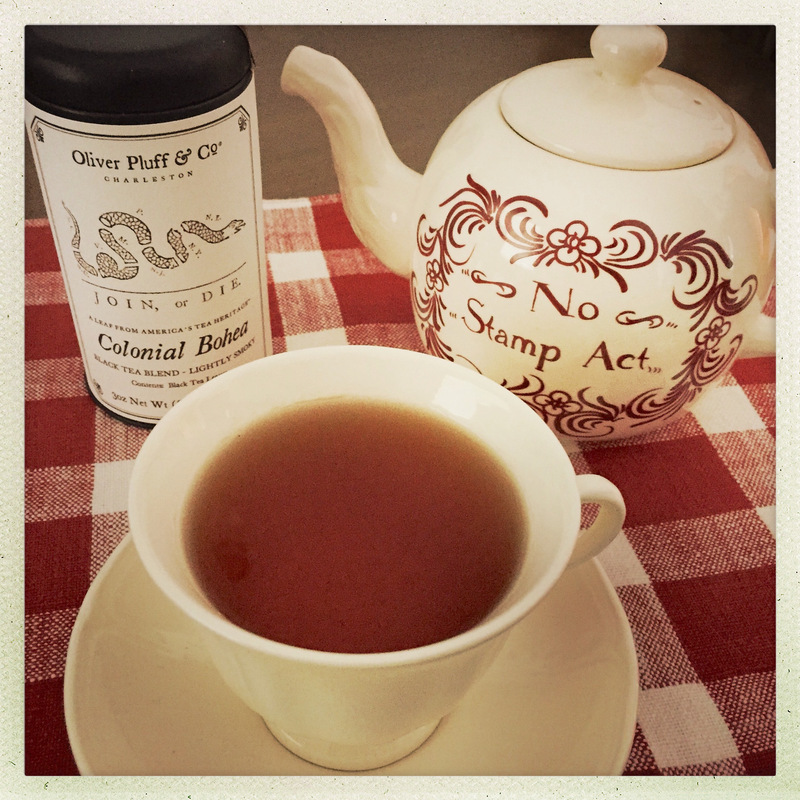 To commemorate this act of defiance against taxation without representation, you can now host your own Boston Tea Party with American heritage teas from Oliver Pluff & Co.
A purveyor of historic beverages, Oliver Pluff offers Colonial teas and remedies, pressed tea bricks, coffee, toddy mixes, and other early American potables. 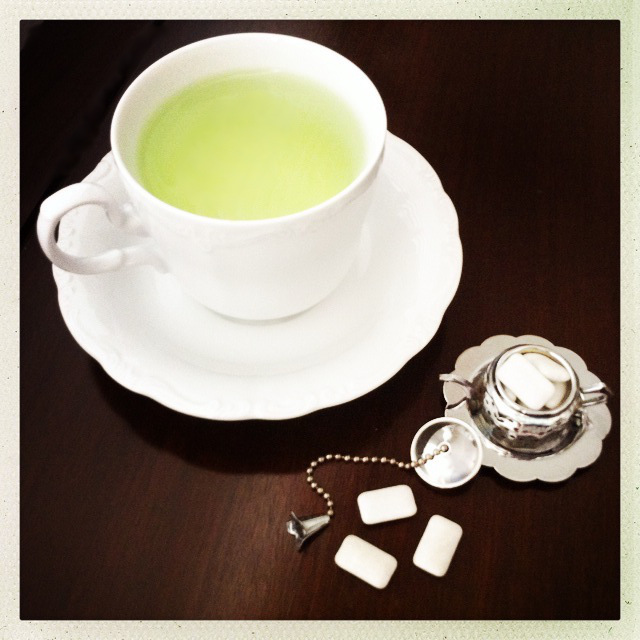 I wrote about their cacao shell tea last year, which now comes in a mint mixture that is perfect for seasonal sipping. Also apt for the holidays are their wassail mulling blends for making spiced wine and cider. Taxes are once again on everyone’s mind, so after you stand up to make your voice heard on the issue, sit down to enjoy a cup of Colonial coffee or tea and celebrate the freedom to participate in representative government. 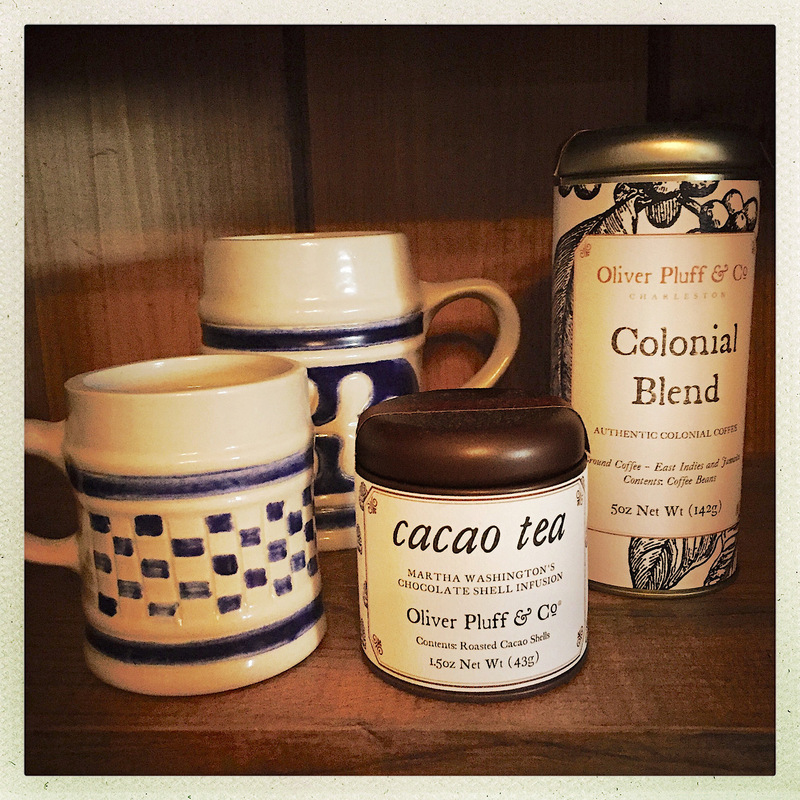 There’s still time to treat yourself or someone on your list to a taste of history this holiday season with a gift from Oliver Pluff. Tomorrow is the first day of fall, which marks the official start of Pumpkin Spice Season. But before you head to Starbucks for a PSL, I have a PSA: there’s another seasonal spiced drink that just might make you lose your gourd. At this time of year, when everyone is preaching about pumpkin spice, I’m reaching for Bengal Spice. 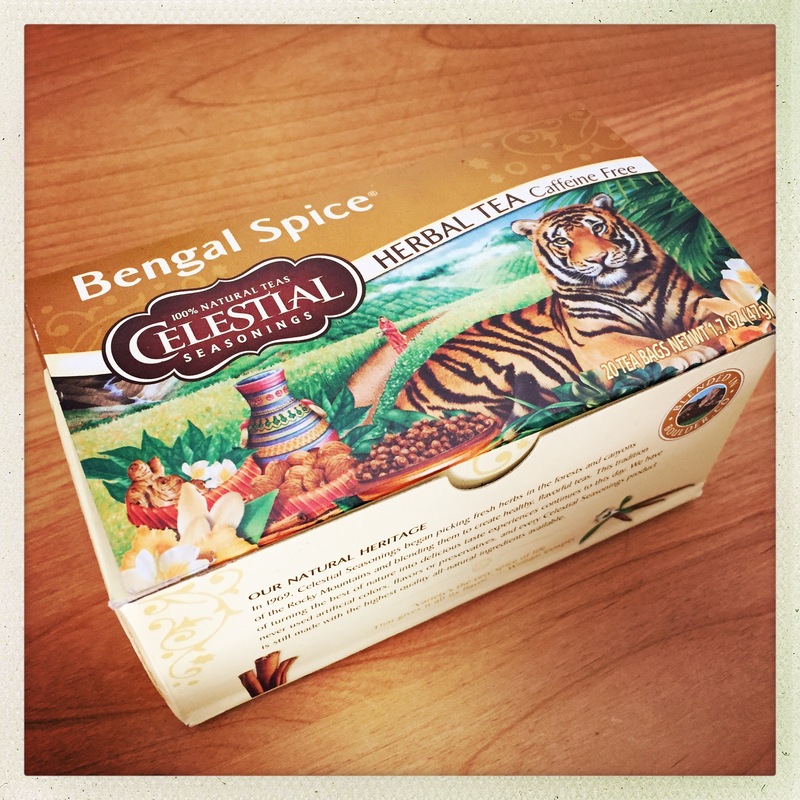 As a rule, I’m a loose tea person, so I don’t pay much attention to commercial brands of tea packaged in individual bags, but my friend Stephanie made me sit up and drink years ago when she introduced me to Bengal Spice from Celestial Seasonings. Stephanie is the kind of friend who, when you stop by “for a second,” will invite you inside for a chat and begin loading up the kitchen table with all manner of gourmet goodies: French cheeses, Swiss chocolates, crusty breads, spiced nuts, and several different kinds of tea. On this particular occasion, she brewed a pot of Bengal Spice and served it with milk and honey. 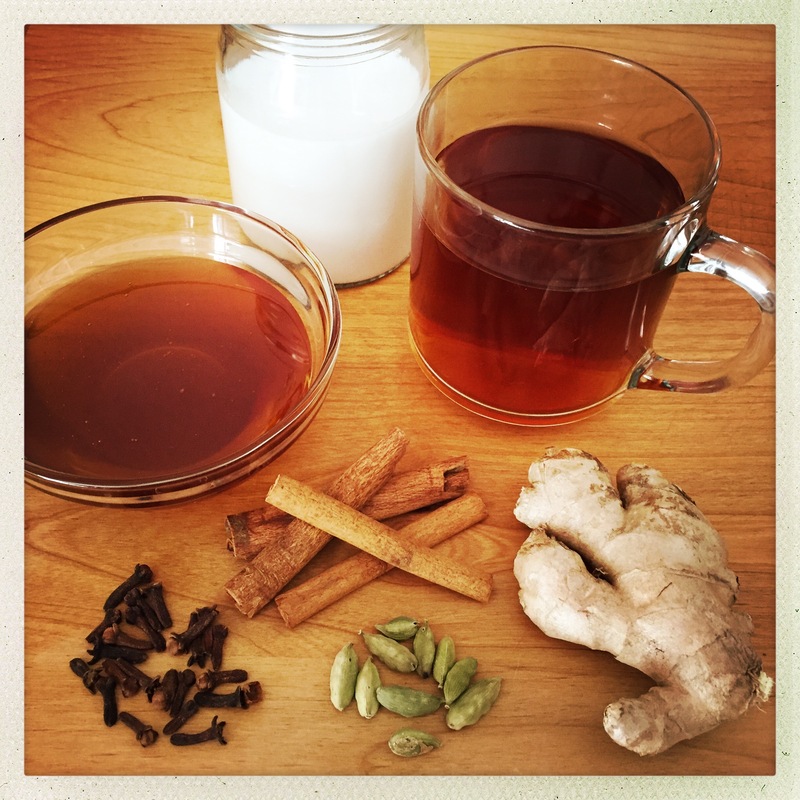 A caffeine-free take on traditional Indian chai, Bengal Spice contains familiar ingredients like cinnamon, ginger, cardamom, and cloves, but when milk and honey are added, it tastes like butterscotch. Really. Top with sweet whipped cream and it’s almost like having hot butterbeer. Unlike pumpkin spice, Bengal Spice is available year-round, but I like to reserve it for fall, when cooler temperatures (and nesting tendencies) make me long for warming spices. I always drink it with milk and honey, because it is this combination that creates the candied alchemy. I can brew it easily, economically, and frequently at home—no need to stand in line or sell the farm for a soothing cup of seasonal cheer. And since it’s caffeine-free, enjoying a mug before bedtime actually helps me fall asleep. Here in Southern California, the forecast for the coming week shows rising temperatures, so while the masses greet the season with all things pumpkin spice, trade in your PSL for a BST and experience true Indian Summer. Celestial Seasonings teas are sold at most supermarkets. Bengal Spice can also be purchased from Amazon. 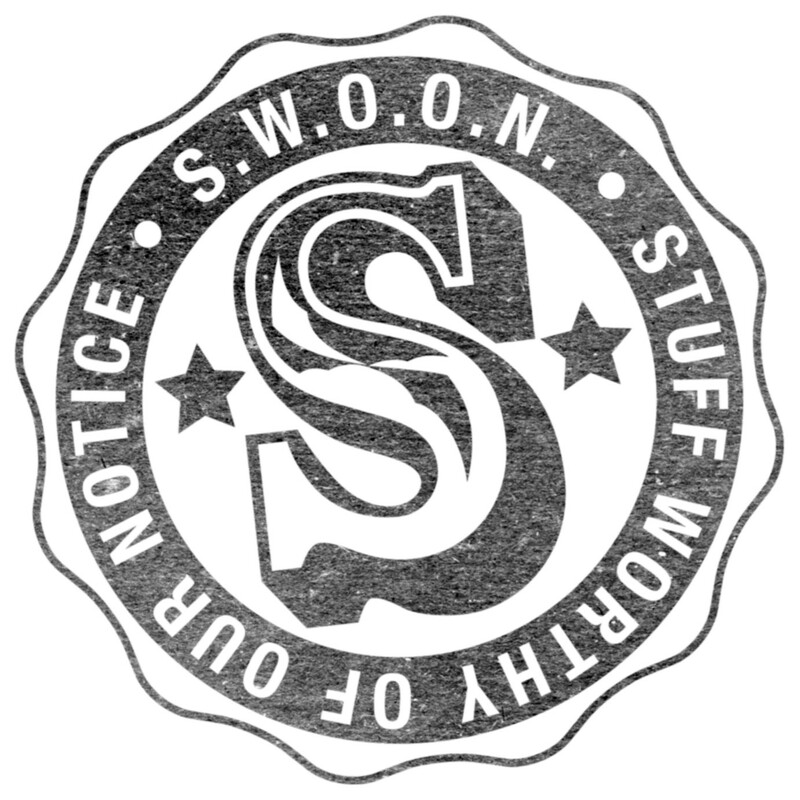 The Swoon Society turns 2 today! Birthday Cake blend from DAVIDsTEA. 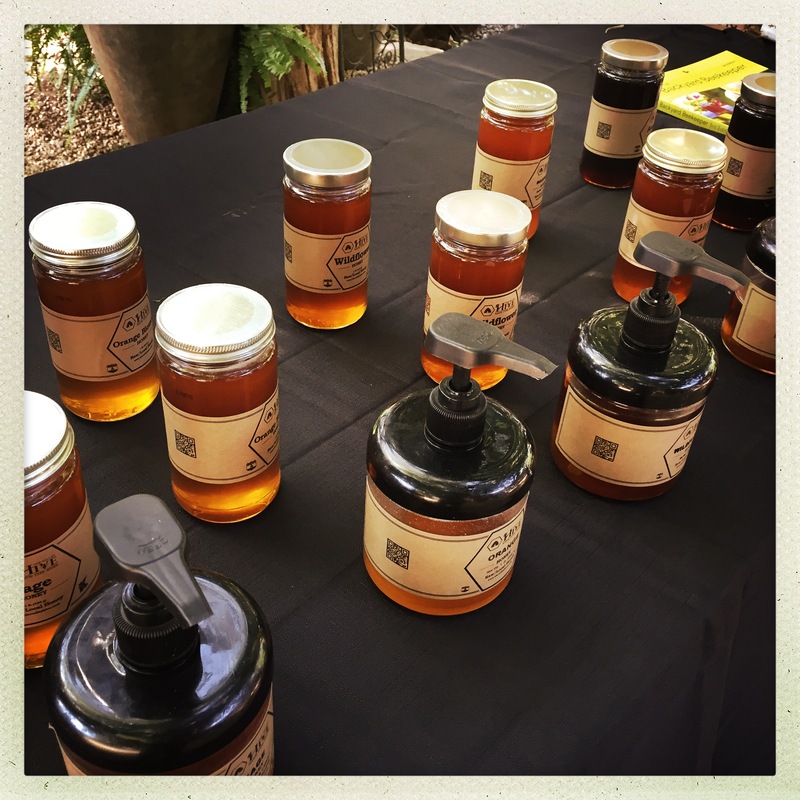 Last weekend, I attended an event for Earth Day that included a presentation by The Valley Hive, a beekeeping outfit based in the northeast San Fernando Valley. They were invited to discuss the threat to honeybees and what’s being done to protect them—and, by extension, our food supply. 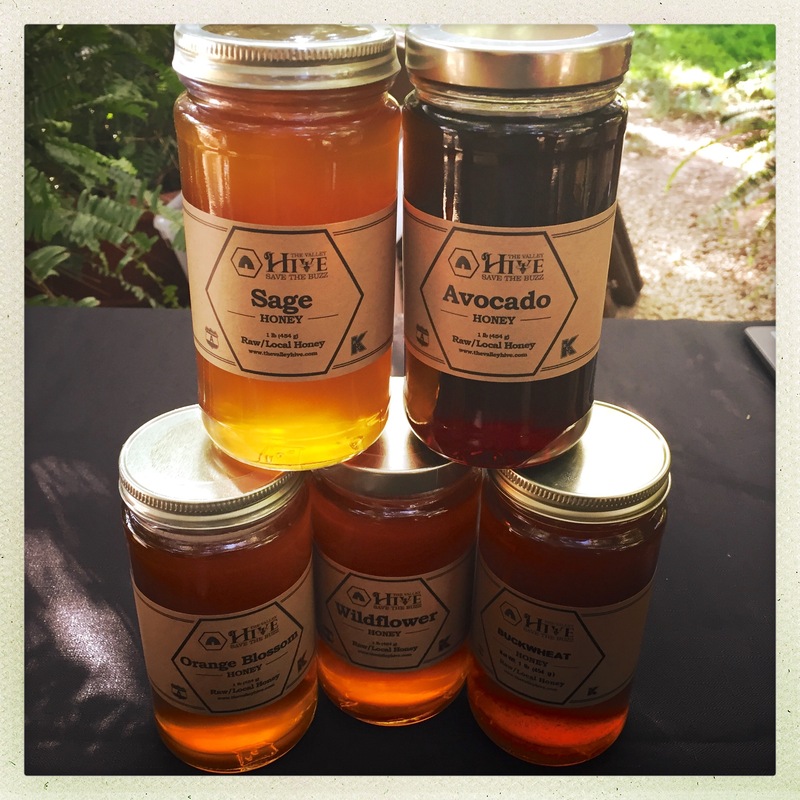 This was serendipity, because I’d been wanting to learn more about The Valley Hive since visiting their kiosk at a local mall and tasting a “flight” of honeys. Head beekeeper Keith Roberts led the presentation with an entertaining and informative talk about the tools and techniques used in beekeeping. He shared some surprising facts about honeybees, which are more fascinating than I’d imagined. 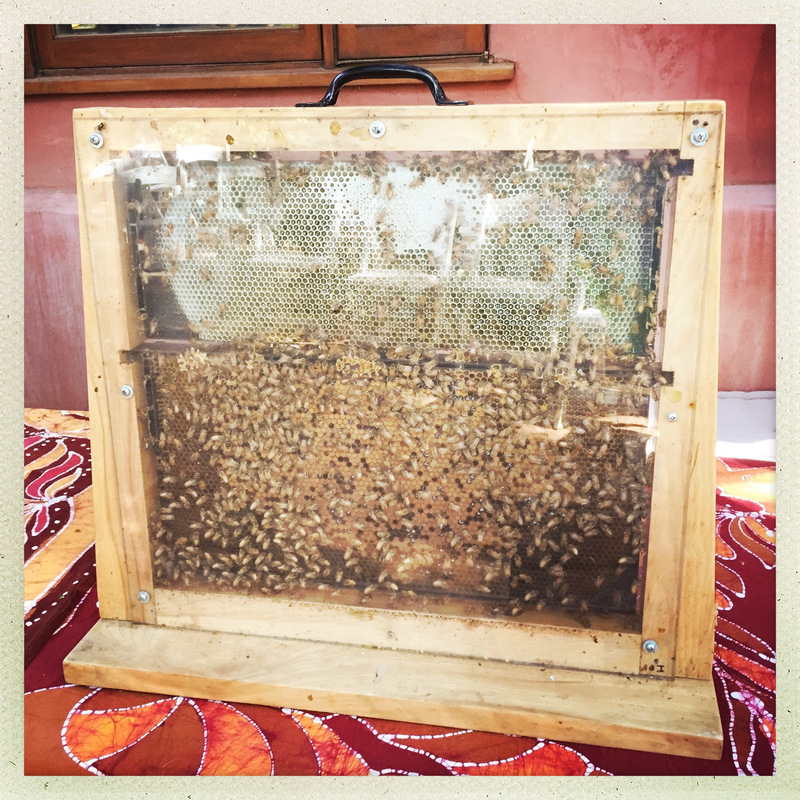 Did you know that a hive functions as a pure democracy, with the bees making decisions by consensus that, scientists have discovered, are correct about 98% of the time? We could learn a lot from them about cooperation vs. competition. But there IS some competition, which occurs when a queen dies or disappears from the hive. Sensing her absence, the bees will start feeding large amounts of royal jelly to a number of larvae. This high-protein substance causes the developing bees to transform into queens, which, upon hatching, will engage in a fight to the death until a single victor emerges. If one of the queens should hatch before the others, she will spear her remaining sisters in a Shakespearean act of mass regicide (and a few other -cides). Hamlet’s got nothing on the hive. Despite the drama, this story has a sweet ending. The bees make and store honey for food, but produce much more than they actually need, so we humans can skim a little off the top without harming the hive. 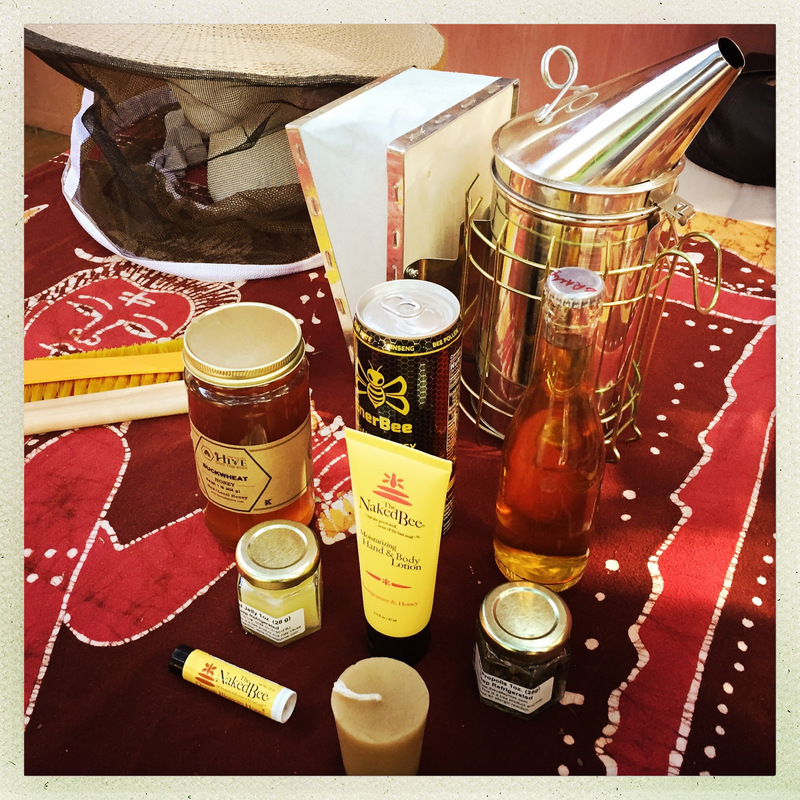 Honey is rich in antioxidants and never spoils. It has antiviral, antifungal, and antibacterial properties and can speed the healing of wounds and burns. While I hear every spring about eating local honey to protect against seasonal allergies, Keith says the results of this practice have never exceeded the placebo effect in scientific studies (having recently read Suggestible You by Erik Vance, I’ve developed an ample respect for the placebo effect). Still, it’s always a good idea to support your friendly neighborhood beekeepers by purchasing local honey (defined as anything within 300 miles). Honey is naturally viscous, so large-scale producers must heat it above a certain temperature in order to fill assembly line bottles quickly, which destroys some of its beneficial properties. If your honey has a thin consistency or never crystallizes, it’s probably been subjected to high heat or “honey laundering,” so buy raw and local whenever possible. Over the years, I’ve purchased many different varietals of honey, from alfalfa to tupelo, but I’d never had the opportunity to try several all at once until sampling the lineup from The Valley Hive. With just a taste of each, I was able to compare the nuances of avocado, buckwheat, orange blossom, sage, and wildflower honeys. It’s amazing to discover how different they are when experienced side-by-side. Sage and orange blossom, both light and extra sweet, are perfect for adding to hot or iced tea. Buckwheat is dark and strong, so it pairs well with pungent cheeses and imparts richness to barbecue sauce. Avocado was described to me as savory and has an almost buttery flavor, making it ideal for dressings and sauces. I bought a jar of wildflower honey for myself (because floral) and a jar of avocado for Kirsti, who likes to cook. The best news we heard was that honeybee populations have been steadily rebounding over the past few years after the devastation caused by Colony Collapse Disorder. While CCD continues to be an issue, its causes are better understood today as beekeepers, scientists, and agribusiness work together to protect these vital contributors to the well-being and beauty of our ecosystem. 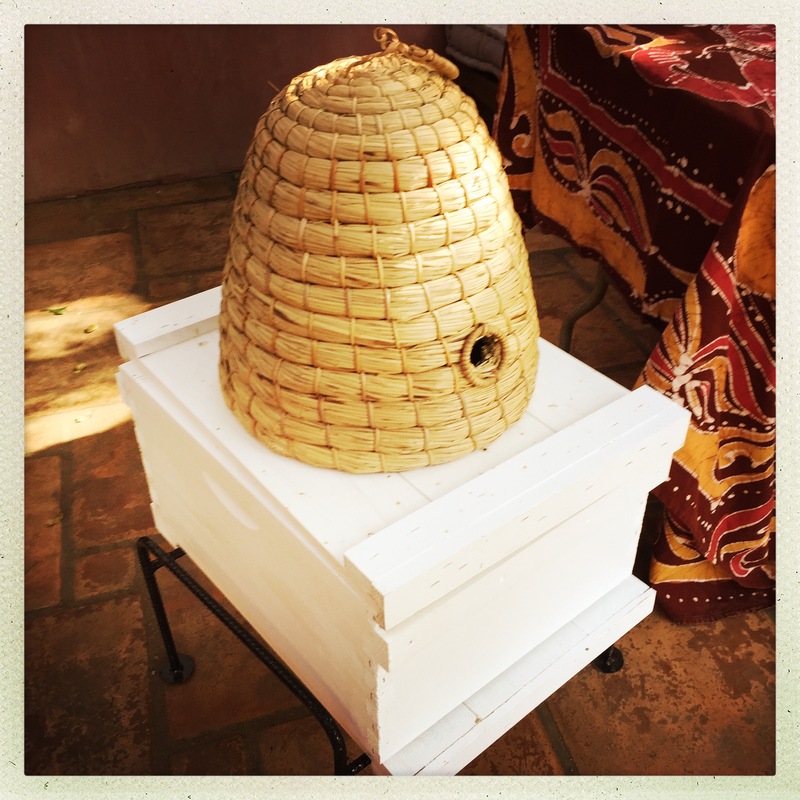 Small-scale beekeepers are usually passionate about the environment and the integrity of their honey, so remember that the “buzz” word is local. By supporting local beekeepers, you also support local agriculture and promote diversity, so get a bee in your bonnet to find a small-batch producer near you (or online), because when honeybees thrive, life is sweeter for everyone. What is it about mints and gum that prompts people to share? I can’t remember a time that I’ve been out with a group of friends when I haven’t had an open tin or pack offered to me. It’s like the universal gesture of amity and goodwill. 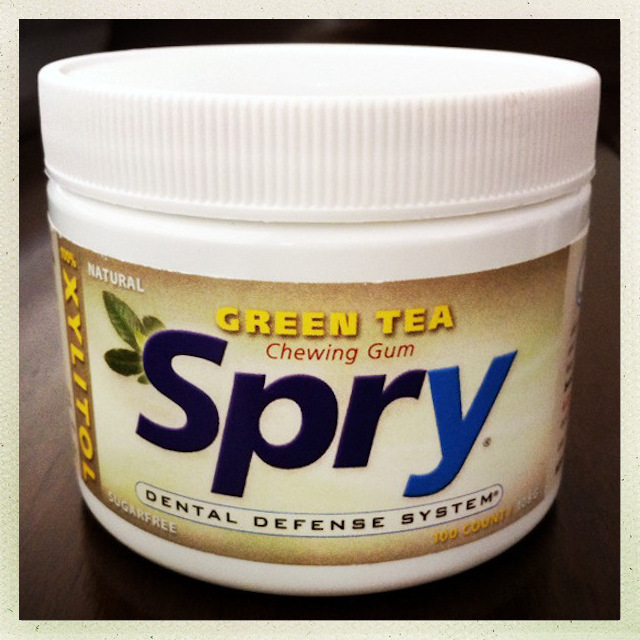 In this spirit of generosity, I will share with you my sweet secret for healthy teeth, fresh breath, and a strong jaw: Green Tea Chewing Gum from Spry. As I’ve written about before, I am a stickler for oral hygiene, but I’ve had my share of dental issues over the years. One hygienist I spoke with said she’s seen patients who are meticulous about brushing and flossing, but have new cavities with every visit, while others never floss and don’t brush regularly, yet enjoy a mouthful of flawless pearly whites. Genetics, diet, and lifestyle all play a factor, but you can tip the scales in your favor by chewing gum daily. Not all gums are created equal, however. Some contain sugar and are little better than candy, while others are filled with artificial sweeteners like aspartame and sucralose. Spry uses xylitol,* a naturally-derived sweetener that reduces cavity-causing bacteria in the mouth, helping to protect teeth and gums while neutralizing unpleasant odors. I also find that Spry gum is slightly tougher than most other chewing gums I’ve tried, which is great for strengthening the teeth and jaw. Beautiful on Raw gives a concise explanation for how thorough chewing can inhibit bone loss and increase density by applying stress to the teeth and jaw, which draws bone-building minerals to the area. It also increases the flow of calcium-and-phosphorus-rich saliva to help prevent tooth demineralization. I have a friend who is primarily interested in how chewing gum regularly can change the shape of one’s face, giving it a more attractive structure.† In any case, the practice is so easy and the benefits so numerous that it’s time to get busy chewing! I like to chew gum for 5-10 minutes after I eat and 45 minutes to an hour on my nightly walk. I simply pop a piece in my mouth before I head out the door, then discard it when I return. This way, I get in a good amount of daily exercise without offending anyone by chewing in social situations. But why green tea? Simply because it tastes great! Sugarless gums all seem to come in standard flavors of peppermint, spearmint, cinnamon, and fruit, but the Green Tea version from Spry has an almost floral note that is refreshingly unique. You won’t need mint to freshen your breath when xylitol is on the job. This St. Patrick’s Day, instead of looking over a four-leaf clover, turn over a new leaf and start chewing on the idea of deliciously improving the health and beauty of your mouth and jaw with Spry Green Tea gum. Then pay it forward by sharing o’ the green. Spry gum can be found at Whole Foods, Sprouts, and The Vitamin Shoppe, but many stores don’t stock the Green Tea flavor, so look for it online from Xlear and Amazon. *Xylitol is extremely toxic to dogs and cats, so NEVER leave an open purse or container of xylitol-sweetened gum within reach of your pets. †For this purpose, he recommends Falim gum, which is quite tough to chew. I tried it once and could definitely feel the stress on my teeth and jaw, but I didn’t enjoy the taste or the level of difficulty involved. Forget your single origin oolongs, your hipster matcha tea shops, and your precious high tea at fancy hotels. I have discovered the cutest tea in the world and you can drink it in your own home, wearing that dirty Aerosmith t-shirt while binge-watching Santa Clarita Diet. It’s called Tea Drops and it will make you wonder why you ever bothered with tea bags or fumbled with a messy tea ball. Tea Drops are individually packaged organic teas pressed into darling little shapes that steep instantly in hot water and contain just the right amount of pure organic cane sugar—a self-contained Cute Bomb! Simply put a Tea Drop in your favorite teacup and pour boiling water over and you have a delicious cup of perfectly measured, sweetened, spiced tea. Founder and CEO Sashee Chandra grew up in a tea drinking household, but discovered when she started working in the real world that making tea the old-fashioned way was inefficient, especially in the fast-paced environments of today’s companies, so she created a way to make a fancy tasting cup of tea quickly. 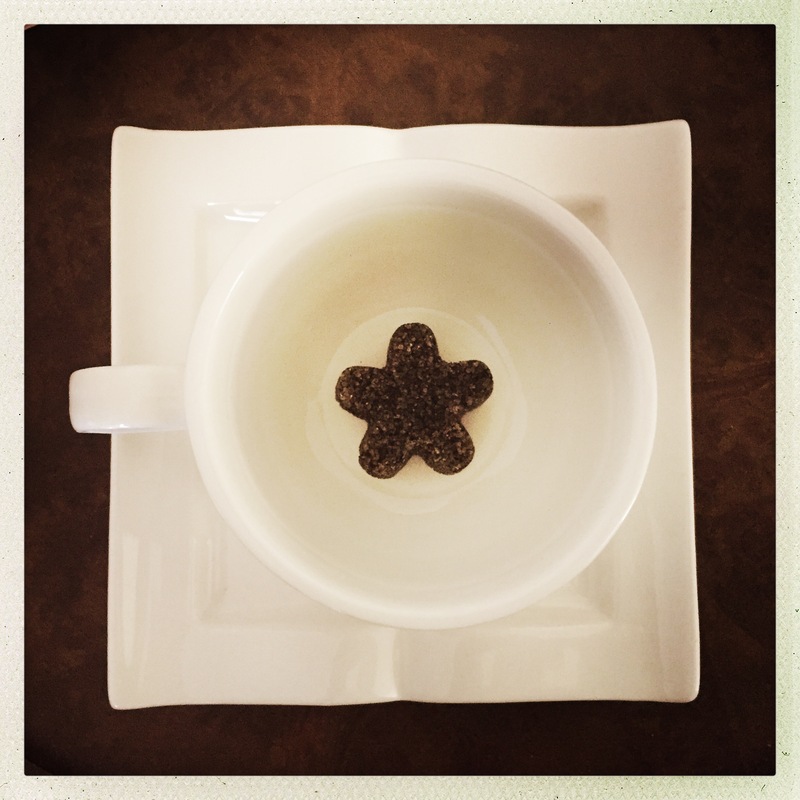 By shaping tea into fun shapes with sweetener and spices, she created the perfect cuppa for the girl (or boy) on the go. 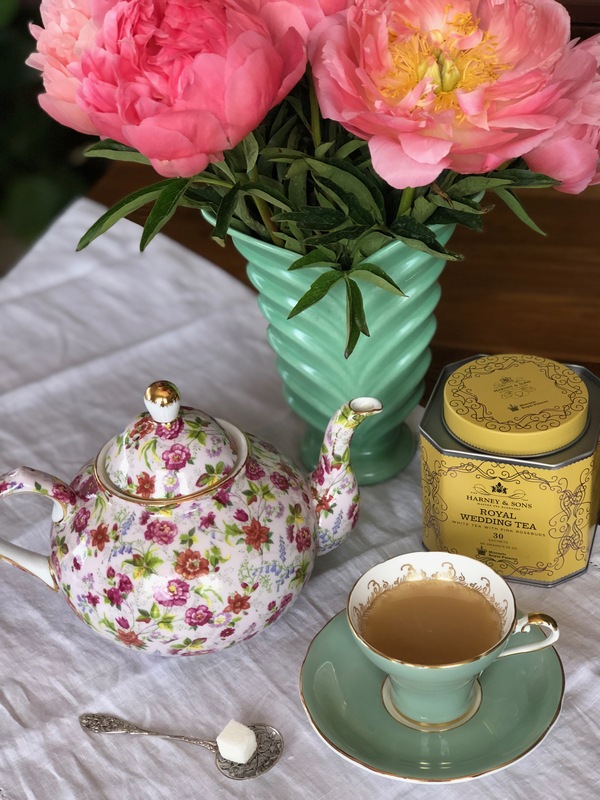 By packaging her tea in biodegradable and compostable wrapping and boxes, Sashee gives us even more reasons to go on a tea spree. 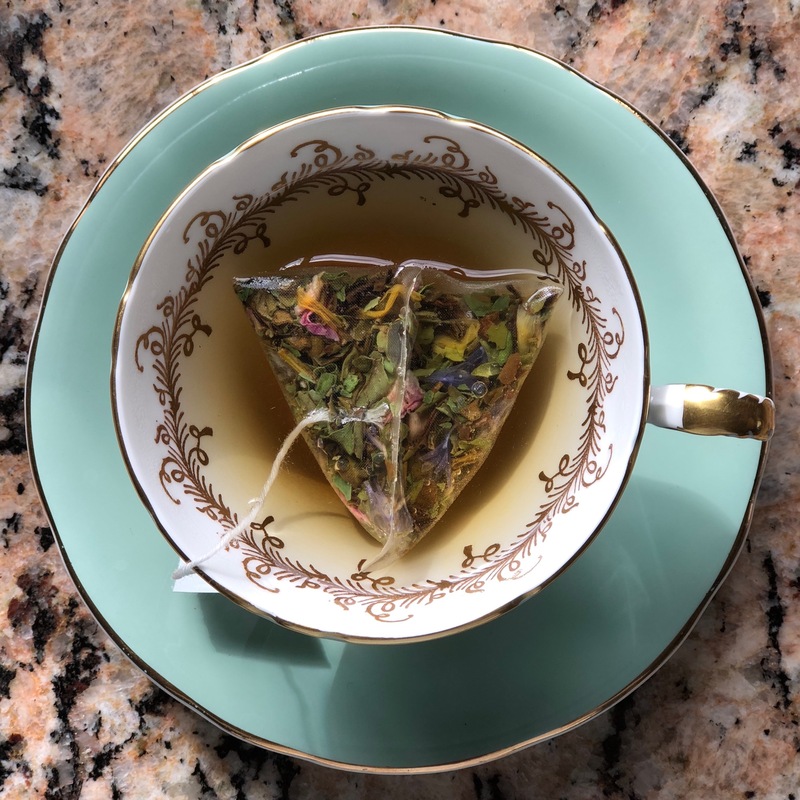 With flavors like Cardamom Spice, Citrus Ginger, Sweet Peppermint and—my favorite—Rose Earl Grey, there is a tea for everyone. Tea Drops are made from organic tea leaves (not instant tea), so there is some sediment that will linger at the bottom of your cup, but it is perfectly fine to drink. Many enjoy drinking the sediment as part of their tea experience, but you can always leave the last sip if that’s not your thing. If the adorable shapes and unique flavors aren’t enough to get you to take the plunge, Tea Drops also donates a YEAR’S SUPPY OF CLEAN WATER to a person in need with every order, no matter how small! Without water, there would be no tea, and without tea, there would be no scones or jam or clotted cream, and without scones or jam or clotted cream, there would be no happiness, so it’s so nice to know that by soothing your soul with beautiful tea, you are helping people at the same time. You can also donate $25 through the company’s website to Thirst Project, which provides a lifetime of water to someone in need. 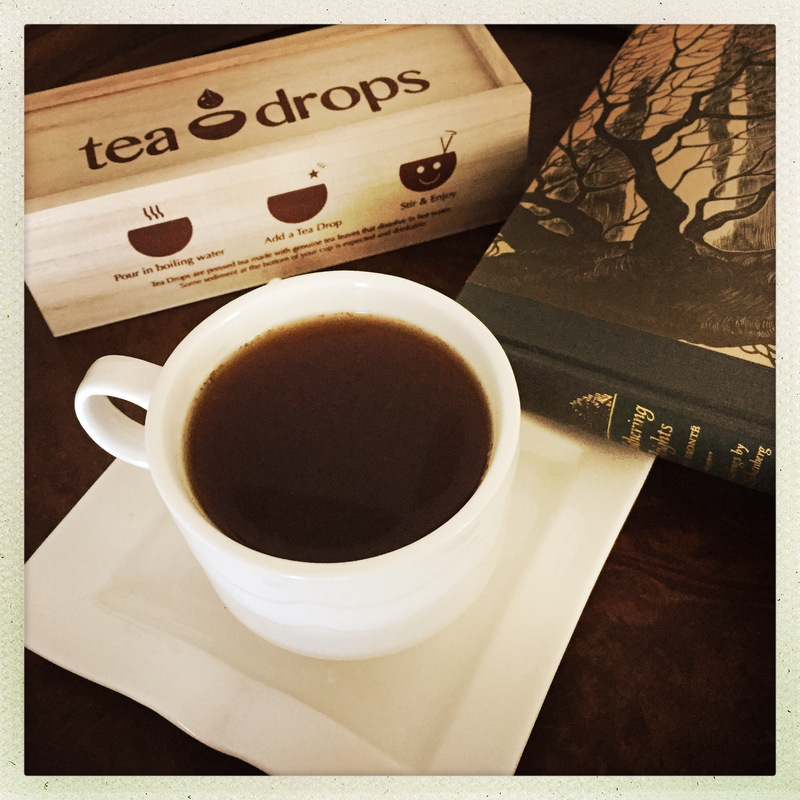 With so many reasons to try Tea Drops, why not join the #CommuniTEA today? Click here to learn more about the partnership between Tea Drops and Thirst Project. Forget politics. This year, the most heated debate at the Thanksgiving table began when my brother-in-law declared his aversion to marzipan. For the half of us with German heritage, those were fighting words. Although it is beloved by many cultures around the world, marzipan is the German name for a paste made from sugar and ground almonds that is often shaped into special figures to give and serve during the holidays. Growing up, it was a treat to visit my parents’ German friends at Christmastime and receive a gift of marzipan molded in the shapes of fruit. 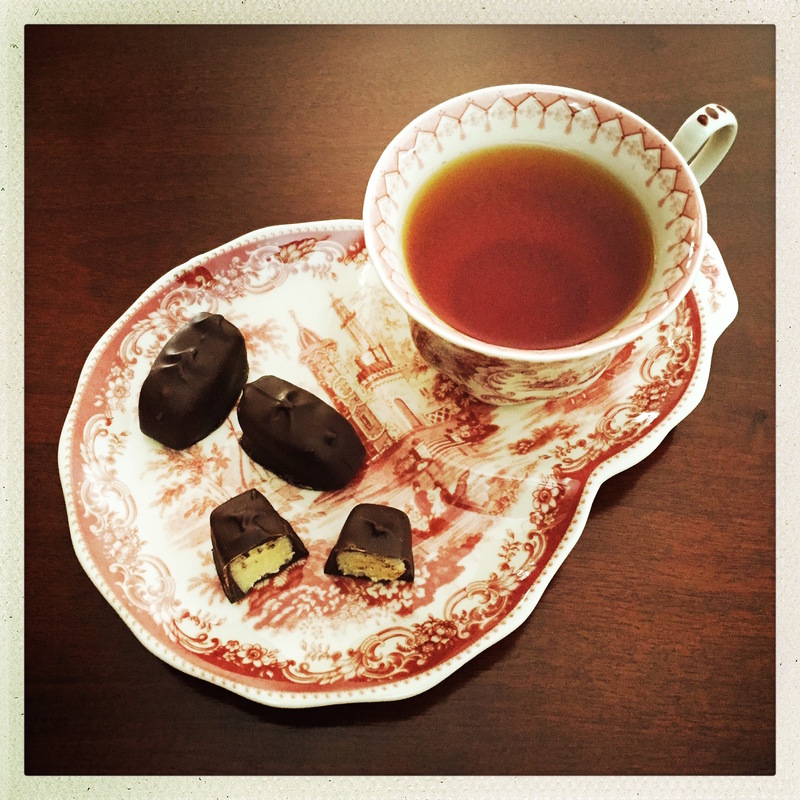 My love for this almond confection is equaled only by my devotion to tea, so it was serendipity when I discovered Winter Palace Marzipan Rooibos from The Tea Shoppe. A ruddy blend with intense almond flavor, this crimson concoction tastes like a brewed bonbon. 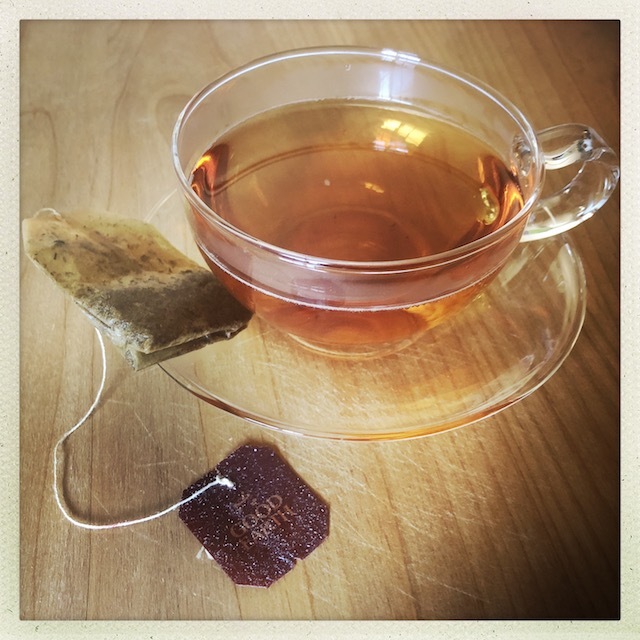 While rooibos does not contain any actual tea leaves, it makes an herbal infusion that is commonly referred to as “bush tea” in its native South Africa. 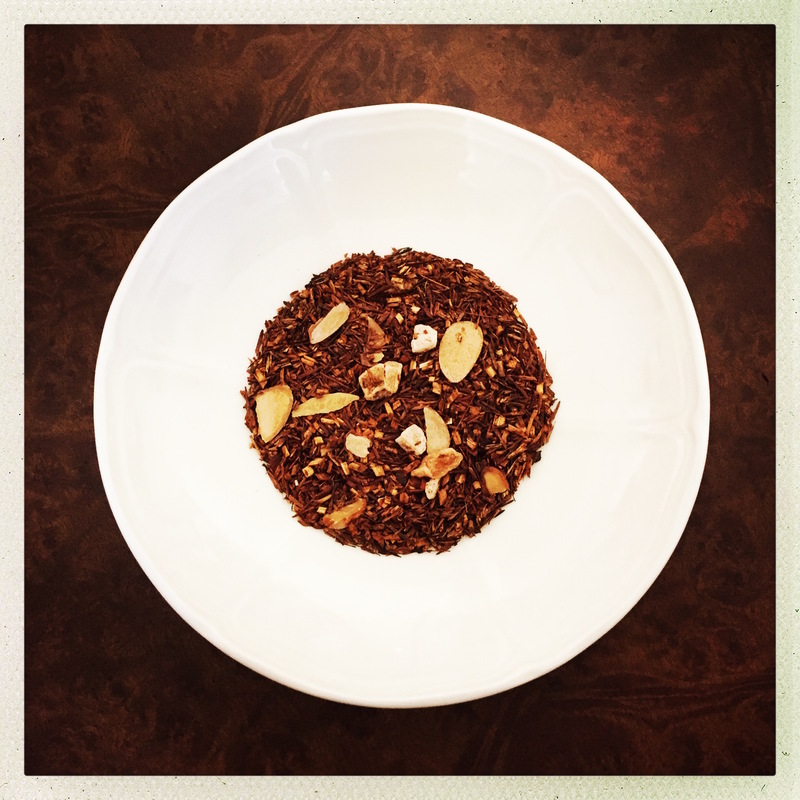 It is caffeine-free and has a number of health benefits, but the variety was likely chosen in this blend for its warm hue and mild flavor, which allows the almond to dominate. With its coppery color and flecks of dried fruit and slivered almonds, Winter Palace Marzipan Rooibos would make a merry gift for any almond and/or tea enthusiasts on your list…including yourself! Savor a sip by the tree as you hum O Tannenbaum, or host a holiday tea and pair it with German lebkuchen and marzipan stollen. With a hot cup on hand, you’ll manage those mounds of holiday tasks in a state of pure almond joy. Winter Palace Marzipan Rooibos is also available from Amazon and a variety of online retailers.